This quirky, retro-inspired bowling kit is perfect for both league night and some fun with the kids or your best friends. 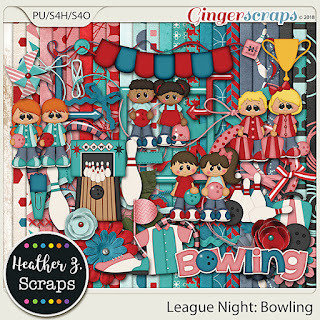 Even if you're not scrapping a night at the lanes, this kit can still bowl you over with its retro patterned papers, flowers, and ribbons – perfect for a drive-in or a sock hop! 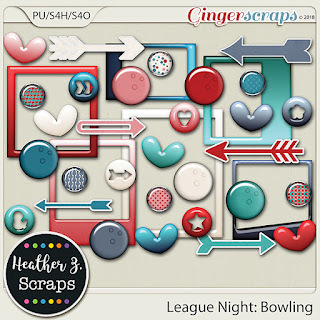 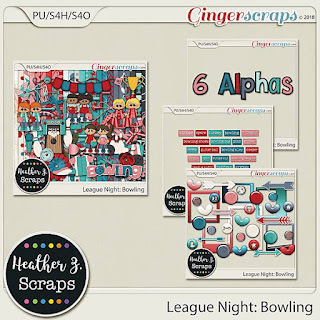 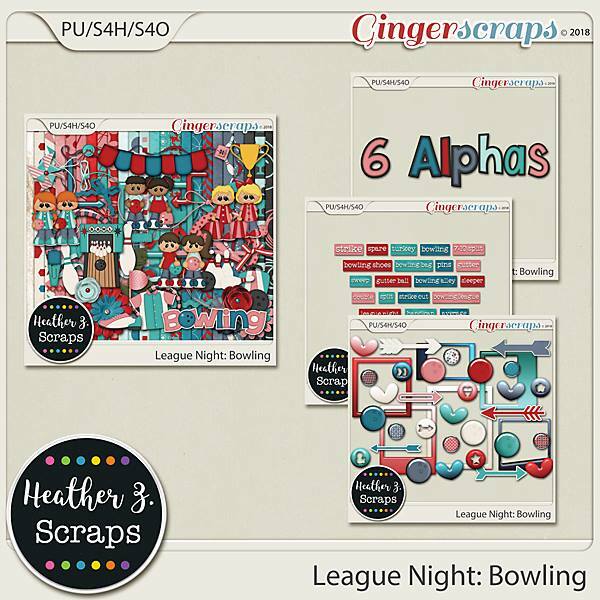 Just add photos for a ton of fun with League Night: Bowling. 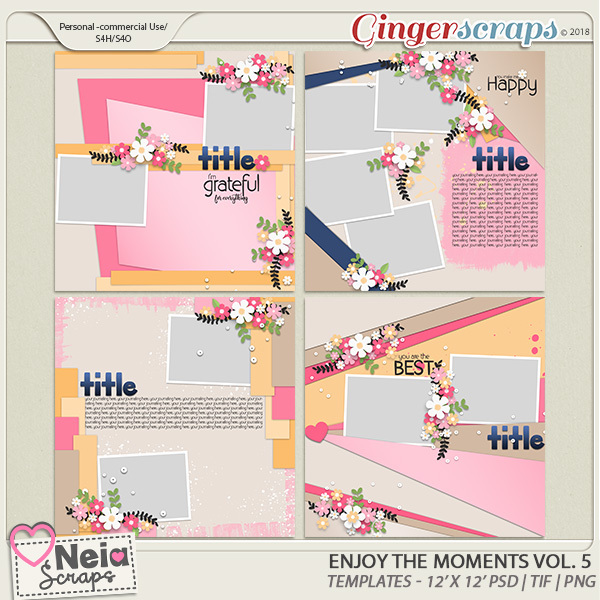 I used this bundle along with a template by Neia Scraps for the Mix It Up Challenge at GingerScraps. 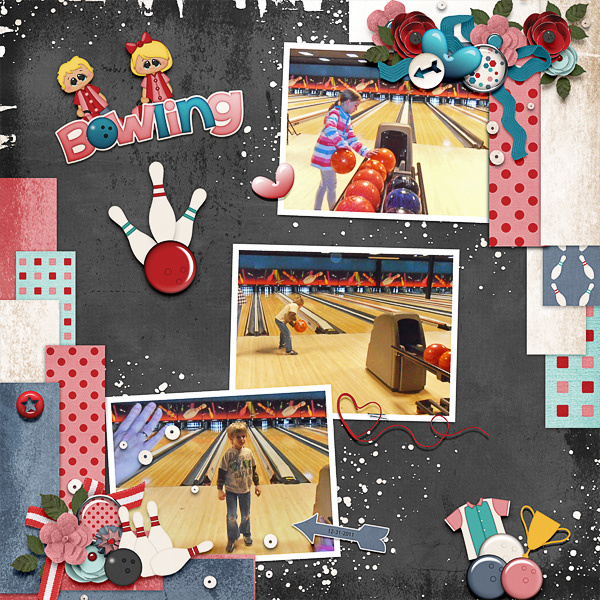 The challenge is to place your clusters and photos on OPPOSITE CORNERS.